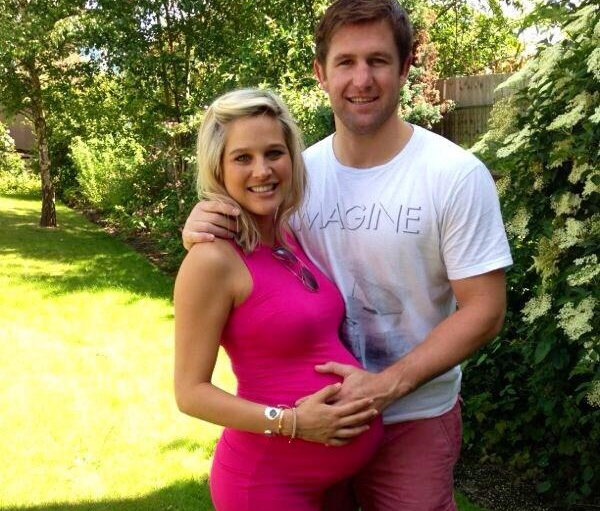 Minki van der Westhuizen and her rugby player husband, Ernst Joubert, have welcomed their first child, baby daughter Katerien. Minki van der Westhuizen has given birth to a baby daughter. The model and TV presenter is living with her husband, Saracens rugby player Ernst Joubert, in St Albans, north of London. The couple married in June last year. On Sunday Minki tweeted a last photograph of herself, Ernst and her pregnant tummy, saying she couldn’t wait to meet the “other” love of her life.